The ergonomic design of these earphones help to stay comfy as you go for your daily jog or workout schedule. The behind-the-ear design promotes better awareness of your surroundings. Works great for podcasts and music. The neon-orange color might prove to be a put-off for some users. The bass on these earphones is not particularly great. The earphones are prone to breaking after some time of continuous use. The color used in the design of these sports earphones may put you off if you hate neon orange, but apart from that, these earphones are a delight to use. 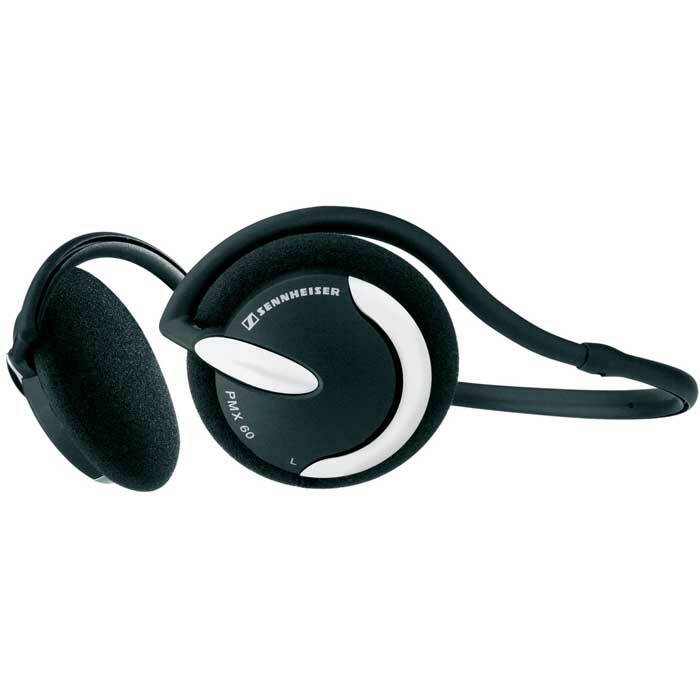 The ergonomic design fits you comfortably and helps you to relax your mind to some music while your body works out. Thanks to the behind-the-ear design of these earphones, you can wear them while you jog and they still won't fall off. Although at first it may seem weird to be wearing earphones that are colored neon orange, once you get used to the Sennheiser PMX 80, you will never want to use another sports earphone set. Belonging to Sennheiser's range of ergonomic sports earphones, the Sennheiser PMX 80 delivers clear sound without making you uncomfortable as you work out or do sports. The comfortable behind-the-ear headband of the Sennheiser PMX 80 helps to keep the earphones in place as you work out. As opposed to in-ear earphones, which will fall out as you exercise more vigorously, the Sennheiser PMX 80 will not fall no matter what you do. At first you will have to make some minute adjustments to the earphone when you wear it, but as you get used to making these adjustments, it will be pretty routine for you. Thanks to the ear pieces being out of your ear canal, your ears have room to breathe which gives added comfort. The Sennheiser PMX 80 provides good sound quality, with clearly-defined treble and mid ranges. However, the bass ranges are a bit weak and some types of music may not come out to your expectations. The behind-the-ear design helps you to keep in touch with your environment, which is important when you are doing sports. Although it may have a few minor flaws, the Sennheiser PMX 80 is a great choice of earphone for those who want to keep their music with them during their daily workout routines. The best headset to use with Apple iPhone! 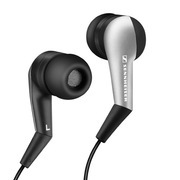 For those who love listening to quality music, Sennheiser MM50 iP offers superior dynamic and an excellent bass. Also, the headphones fit the ears perfectly. The device is overall of very high quality and offers amazing features for communication, as well as for music auditions. While Sennheiser MM 50 headphones are implemented with a microphone, some problems were reported with its functionality. Also, some users reported that the bass levels did not meet their expectations. Sennheiser MM50 iP can be considered a revolutionary device when it comes to its functionality and how practical it is at the same time. When it comes to comfort, these earphones provide perfect ear fixation with the help of an aural set of adaptors. 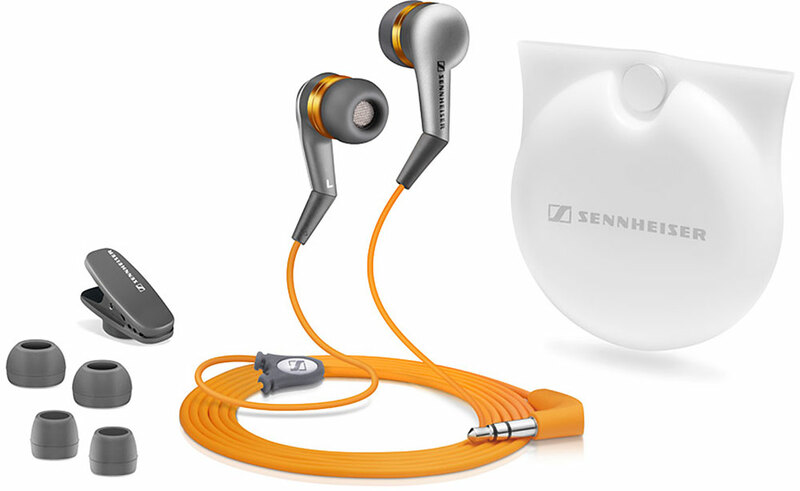 They use the latest technology, offering users the high standards that Sennheiser always provide. 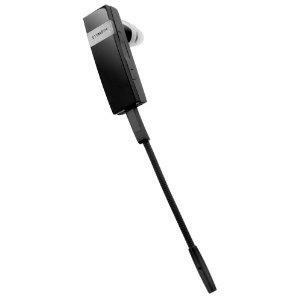 The Sennheiser MM50 iP headset is a stereo device which was specially designed to fit iPhone an iPad products. It includes a microphone placed on the cable which users can utilize by the means of an answer – end button. 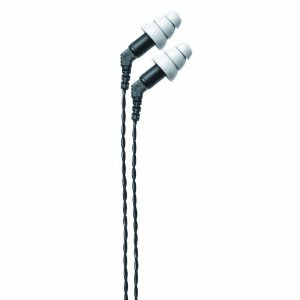 The product is similar to Sennheiser CX 300 earphones, but come with improvements in terms of sound isolation and mobile phone compatibility. Sennheiser MM50 reviews usually recommend the product as a ‘fully integrated solution’, but as with any such product, it also comes with minuses. When it comes to their weight, they are very easy to be carried around and thus comfortable to wear. Other than that, better quality would be required for the microphone’s functionality to be optimum and the price suitable. The Monster Turbine earphones provide brilliant and exceptional quality of sound and bass. They are made of metal which makes them strong and less vulnerable to breaking. Moreover it comes with a nice storage box. This device is heavy and you require a lot of patience in order to fix them properly in the ear. Another major negative factor of this device is that they do not survive for long. The Monster Turbine in-ear headphones are good looking and attractive, offer good sound quality and that is why they are a little more expensive as compared to other Monster’s earphones available for the customers. The Monster Turbine earphones provide superior quality of sound and bass as compared to different other Monster’s models but still they are quite expensive as well. Their main strength lies in their metallic structure which enables them to be tough and unbreakable. However some people have complained that this device is not long lasting and stops functioning in about a month or so because of technical problems. Moreover they have never been able to solve this problem as their customer service department is not impressive enough to help the customers out. One can purchase the Monster Turbine device at price ranging from $130 to $149. This price is very high when it comes to earphones but still people buy this device because of its luxurious appearance and feel which makes them think that they have actually acquired something special. Online purchasing is probably the best option where you can buy these earphones at a reduced rate. With this device you are also provided with a safety case and 5 different pairs of ear tips in order to suit the needs of the customers. Still people have complained that the weight of the Monster Turbine earphones is too heavy and this actually makes it uncomfortable for them to fit the headphones in the ears. All in all, these earphones are okay. Although they provide brilliant sound quality but you can find good sound quality earphones easily in the market at a very cheaper rate. Enjoy a pair of sport headphones today! The Sennheiser CX380 is a great pair of headphones for those who want something light and comfortable when it comes to sport activities. 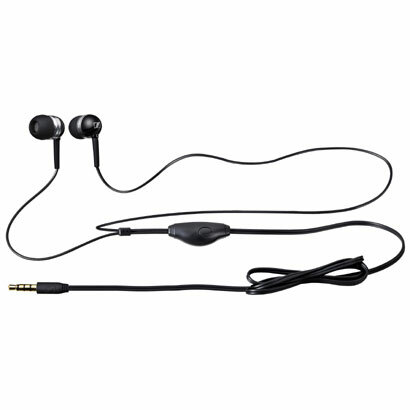 Besides comfort, they also provide the user with clear sound as they isolate the noise in the environment. 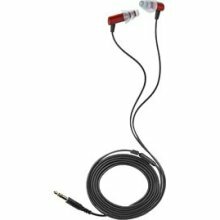 Most of the Sennheiser CX 380 reviews written by users specify that the headset works properly but get damaged within less then six months. Also, problems with connecting to iPod were reported. Sennheiser CX 380 Sport II is a popular pair of headsets for those involved in sport activities, but is quite expensive when it comes to what it has to offer. As it is water resistant, this pair of headphones will not get damaged if used when sweating, which always happen when exercising. High sound performances, comfort and water resistance! The first impression users get after they buy Sennheiser CX380 is that they deal with a resistant pair of headphones that is perfect for workout times. The sound isolation feature works perfectly and allows the user to only hear clear music that perfectly covers other noises. One of the elements that Sennheiser CX 380 excels at is the bass, as these headphones offer amazing quality. The device comes with a 120 cm long cable, which means that users are able to keep their iPod or MP3 players protected from damages. Also, the device is compatible with iPhones and CD players and can also be connected to game systems. The ear buds come with an ear adapter set, but this does not necessarily improve the comfort levels. All in all, the Sennheiser CX380 Sport Series II noise isolating ear buds can bring unpleasant surprises, but if you get this product from a reliable seller, the warranty period should suffice.